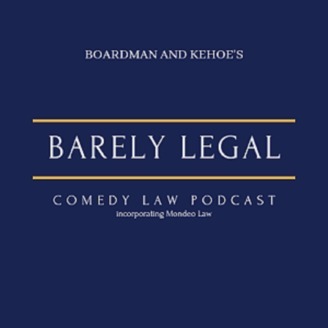 Comedian Alex Boardman and Barrister Chris Kehoe, discuss English Criminal Law whilst sat in a Ford Mondeo. 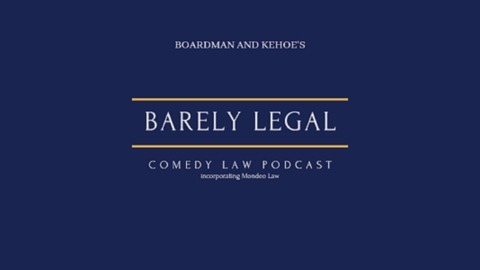 A comedic look at some of the most famous criminal cases in English Law with legal expert and barrister Chris Kehoe, and comedian Alex Boardman. In every episode Chris will guide us through a famous area in English Criminal Law. He will explain the facts of the case, set out the legal principles the case raises and offer insight into the reasons behind the verdicts of the judges who presided over them. This easy to understand series is not just for those studying the Law or working in the profession, but is for anyone with even a passing interest in legal matters. As well as detailed case studies, in shorter "Brief Notes" episodes, Chris will tell us what being a barrister is really like, as well as explaining the court system, legal tactics and even answering any questions listeners may have. If you've ever enjoyed a legal drama on TV or film, or can't get enough of novels featuring crime and courtroom battles, then this series will give you a further insight into that world. The Mondeo Law Podcast is produced for Abrupt Audio. If you are looking to start or grow a podcast, check out their website: http://abruptaudio.com Follow us on social media @mondeolaw on Twitter and Instagram. "Tommy Robinson" and the unreported case surrounding issues of free speech, freedom of thought and also free expression. Also, we discuss the recent conviction of someone Alex knew when he was a minor.